Our easy booking and payment structure is a big reason why approx. 100 American hunters hunt with us annually! Our booking office is based in Iowa, making inquiries a phone call away and easy! 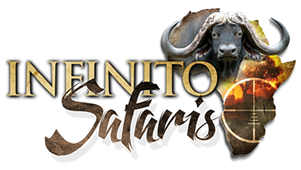 Any information you might think will help us make your Safari special for you! If you have a problem with booking the airfare, please talk to us. We might be able to assist! Your hunt is now booked! Ask for a quote via email or in person when you meet with us. Try and give as much info as possible. Your African hunting experience, if anything, which of our hunts you are interested in, what time of the year can you get away for how long, how many folks in your group, etc. You pay a 30% deposit in the USA to secure your dates. The same time you sign our hunting agreement. Your hunt is now booked. We will also provide you with the contact details of a couple of travel agents that book airfare for our clients. Balance Payment for the hunt is done in camp or in back in the U.S.A. to our office in Lowa. All in all, with technology these days, the hassle of booking is out of your hands. We just need your nod and a signature, and we take care of the REST!